Food, water and a cozy place to call home may be enough to satisfy some easier-to-please stray cats. But those things alone won't suffice for this former street kitty named Tom. Tom demands more. He requires admiration — and he found just the place to get it. 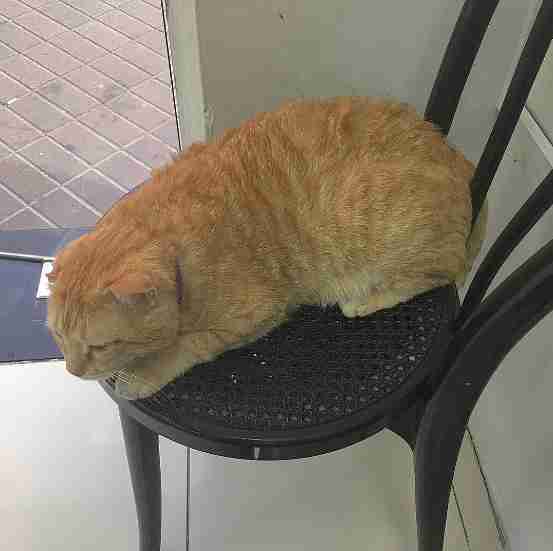 Three years ago, staff at Photo Fast Studio, a printing shop in the United Arab Emirates, began noticing Tom, then just a lonely stray, lingering around outside their door. Figuring he could use a handout, they began feeding him. Things gradually began to escalate from there. "One day he started following us into the shop," Adem, an employee there, told The Dodo. "Then he stopped leaving. Now, he lives here." 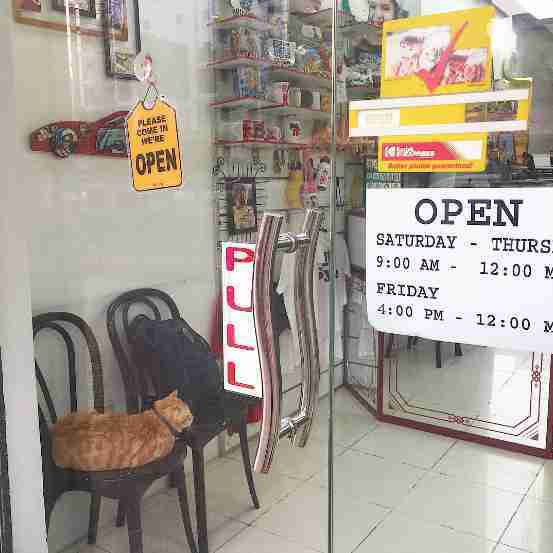 Once he had his paw in the door, Tom quickly established himself as a fixture in the shop. His job duties? "All day, he just eats and sleeps," Adem said. "Sometimes he plays with the customers." 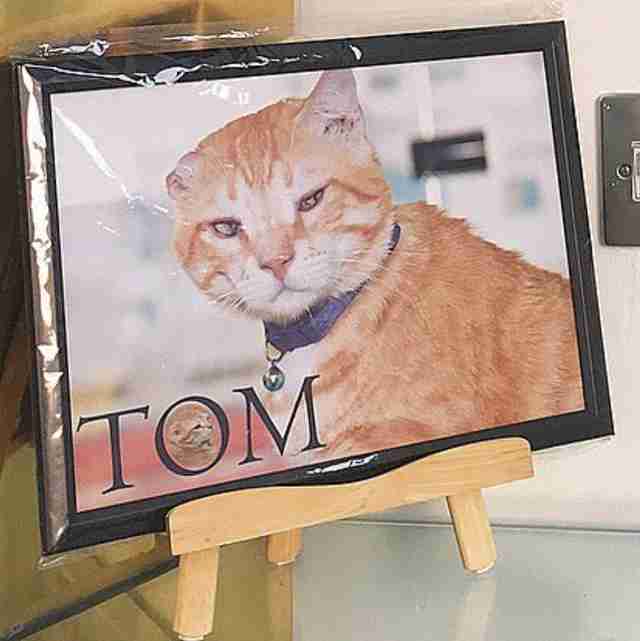 But by plying his feline charms in just the right way, Tom was eventually promoted to a new gig — as a model in photos filling the shop's array of picture frames. Essentially, Tom had tricked the shop into erecting a shrine in his honor. 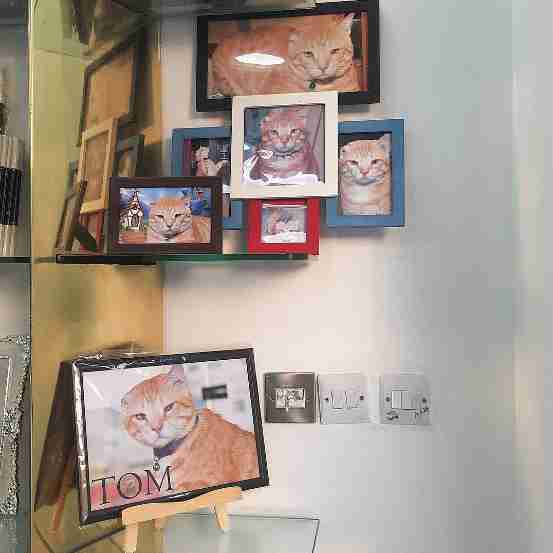 When asked why the cat was chosen for the job of picture frame model, Adem's response was simply, "We like Tom." Incidental as it may be, Tom's presence at the shop has apparently come as a boon for the business. According to Twitter user Pahtch, who lives nearby, the cat has actually changed her shopping habits. 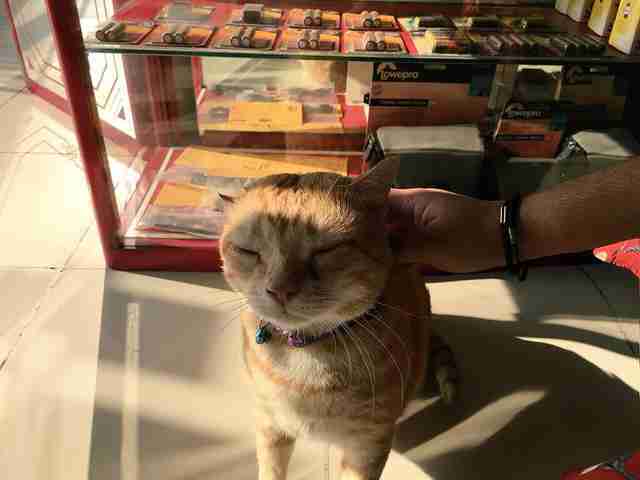 "I'm a regular [customer] of the film shop now because of him," Pahtch told The Dodo. "It really helps that this print shop has a mascot that makes you keep going back. Customers can't help but play with him." As if achieving local celebrity status weren't enough for the cat, now he's admired around the world. Pahtch recently posted a tweet about Tom which has since been liked and shared more than 80,000 times. Turns out, business at the photo shop may soon be booming even more because of it — and new shrines to Tom may start popping up around the globe. "I didn't really expect my tweet to blow up," Pahtch said. "People have been bombarding me with messages on the shop's location and to see if it's possible to get Tom's picture frames shipped." Well played, Tom. Well played.